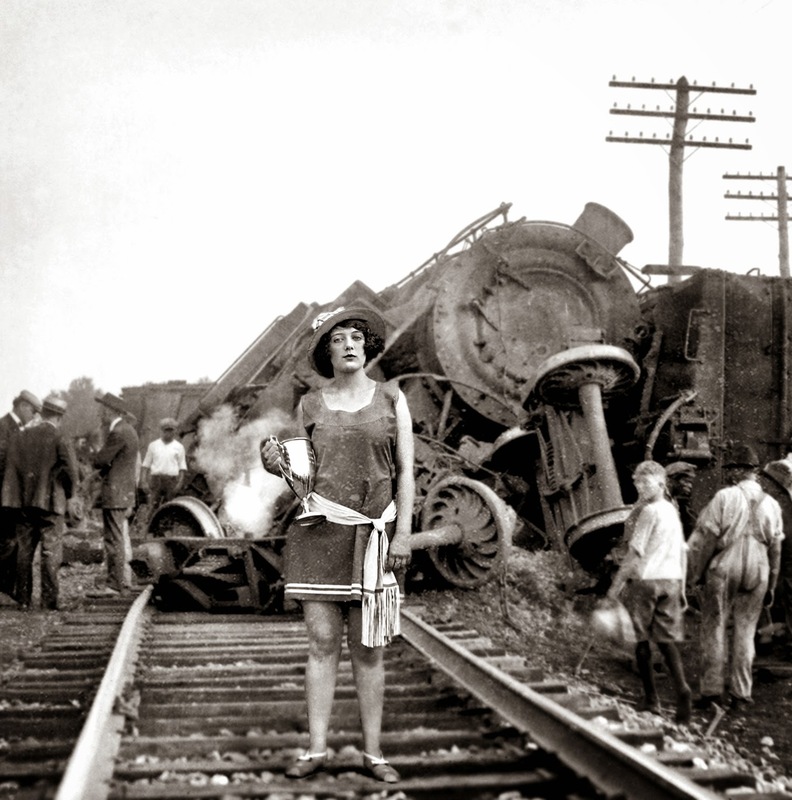 It looks like she won the cup for wrecking the train, any other information. but hadn't seen that manipulation. Looking at her feet I now notice it's photoshopped, that explains a lot. Ahhhh, yes. The feet give it away but I was fooled for a bit there! Exciting photograph.